The Florida beach town so breezy and bewitching we almost don’t want to tell you about it. When Atlantans want to escape to the beach, the usual destinations come to mind: Destin, Tybee Island, Myrtle Beach and Hilton Head. Of course, all are perfectly viable options, but if you haven’t yet checked out charming Amelia Island, Florida, then you need to put it on your vacation radar. 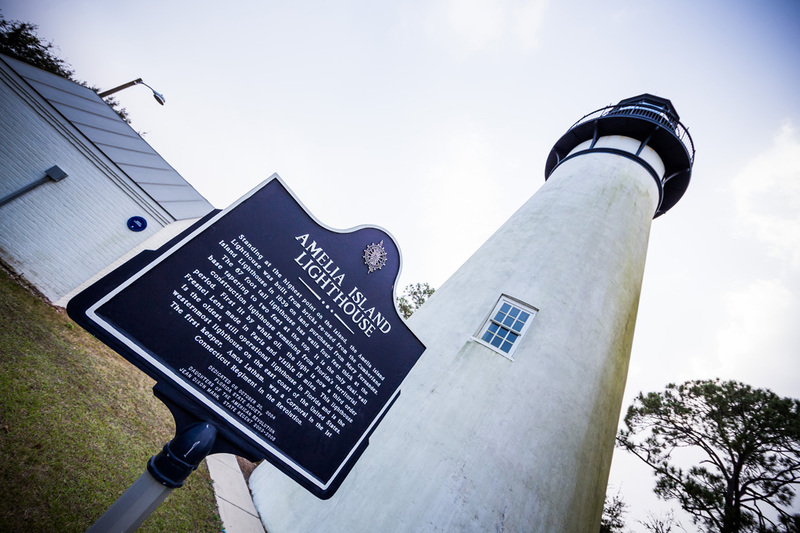 Soak up some history with a visit to the Amelia Island Lighthouse, the oldest in all of Florida. The quaint resort area is located just north of Jacksonville, about five hours southeast of Atlanta, and has a more laid-back, small-town feel than its touristy coastal cousins. It is roughly the same size as Manhattan, but while that island has some 1.6 million residents, Amelia has fewer than 20,000. Only about two miles across at its widest point, it features 13 miles of beaches that even on the holidays aren’t all that crowded. But don’t let its small size and easygoing vibe fool you, because there’s plenty to see and do here. An ideal way to get an overview of the area is aboard one of Amelia River Cruises’ sightseeing tours. If you’re lucky, you’ll get Pajama Dave as your captain; he’s a local character known for always wearing pajama pants, and he makes the trip both educational and entertaining. If you want to get out on the water yourself, rent a kayak, canoe or paddleboard from an outfitter like Kayak Amelia. Or mosey over to the Kelly Seahorse Ranch, one of the few places in the country where you can still ride horses on the beach. The island also boasts 40 miles of bike trails, 6.2 miles of which are part of the East Coast Greenway that runs all the way from Key West, Florida, to Calais, Maine. 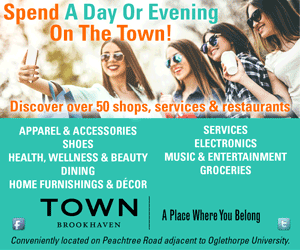 For something a little more leisurely, take a horse-drawn carriage ride through the 50-block downtown district that is listed on the National Register of Historic Places. You might want to stop into the Palace Saloon, where patrons have been bellying up to the bar since 1878, making it the oldest bar in Florida. Amelia Island Lighthouse, the state’s oldest, is less than a 10-minute drive away, as is Fort Clinch State Park, where you’ll find a 19th-century garrison used, in part, as a refuge for blockade runners during the Civil War. Today, costumed interpreters depict what life was like at the fort back in the day. 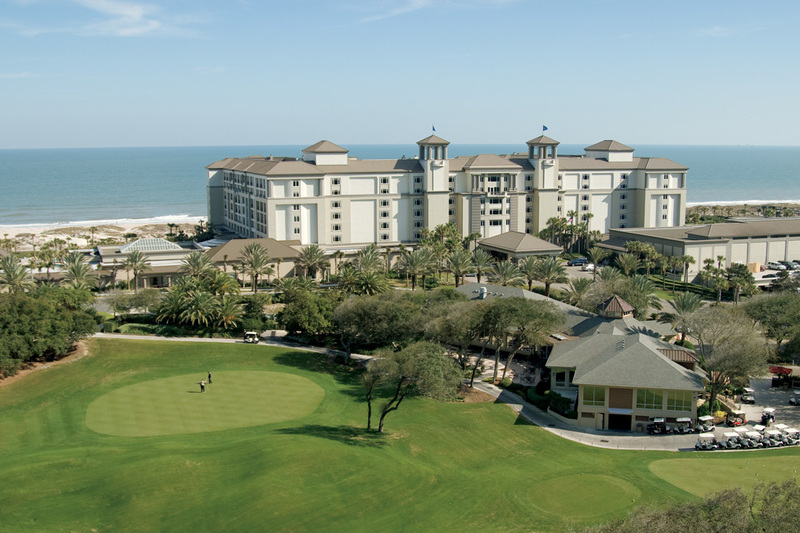 The Ritz-Carlton, Amelia Island offers everything from golf to water sports with a prime oceanfront location. Also boasting a unique history is the Williams House B&B, one of the top lodging options in town. Dating back to 1856, the lovingly restored Victorian mansion features a secret room that once served as a stop along the Underground Railroad. On the more modern end of the accommodations scale is The Ritz- Carlton, Amelia Island, a five diamond beachfront resort with every luxury imaginable, from an adults only pool with private cabanas to one of the largest spas in the entire hotel chain. (If you do visit the spa, consider having the Heaven in a Hammock massage, in which you’re cocooned in the hammock and sway gently back and forth as a therapist works on you with their forearms, hands, knees and feet.) Just down the road is the Elizabeth Pointe Lodge, a 25-room boutique property that looks like it’s been plucked straight off the shores of Nantucket. 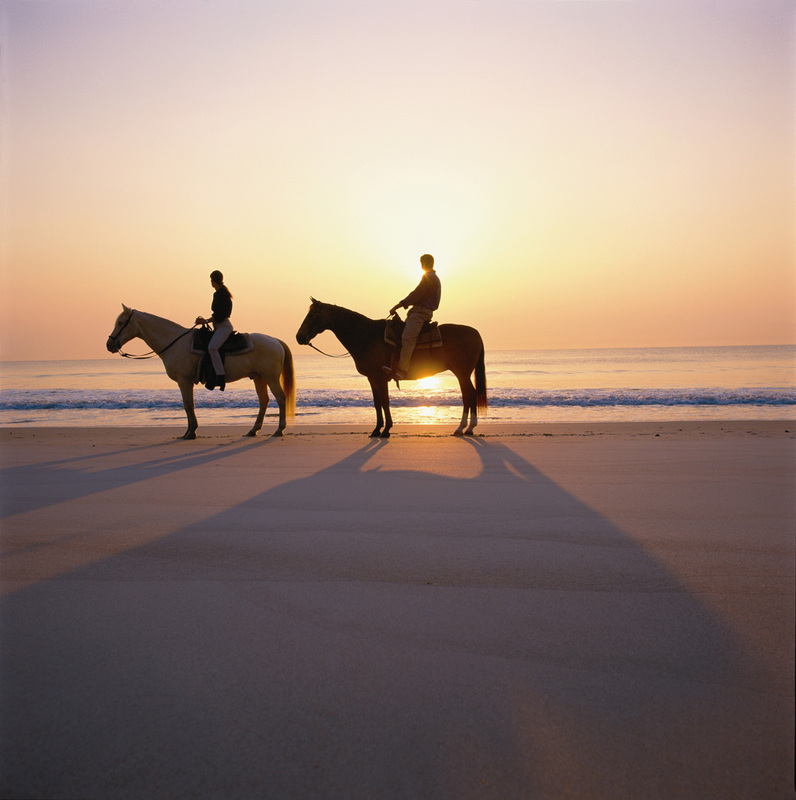 Trot on horseback along the shore with a Kelly Seahorse Ranch ride. When contemplating where to eat on the island, you’ll naturally want to take advantage of its coastal setting at a spot like Timoti’s Seafood Shak, a no-frills walk-up with outside seating that serves wild-caught seafood in dishes from the crab burger to blackened shrimp tacos. Also popular is Gilbert’s Underground Kitchen, a soulful barbecue-and-more eatery helmed by Kenny Gilbert, who competed on season seven of “Top Chef.” But no trip to Amelia Island is complete without trying the tasting menu at Salt, the award-winning dining room at The Ritz-Carlton. Choose from starters such as the potato-wrapped tuna with pickled radish and tempura pearls; the “steak and eggs” entree of beef tenderloin served on a Himalayan salt block; and the honey-rosemary soufflé with lavender ice cream for dessert. After supper, scurry over to the Fernandina Harbor Marina, and join the folks who line up each night to watch the sun go down. It’s a fitting end to a perfect island day.